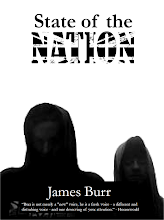 James Burr: Prose-poem acceptance from "Fiction International." Prose-poem acceptance from "Fiction International." I'm very pleased to have a 2000 word prose-poem accepted by Fiction International, the literary journal of San Diego State University that focuses on formal innovation in literature, non-literature, indeterminate prose and visual arts/imagery. The piece in question, 'If Janus Had Two Faces, Then Why Can't I?' is, as I say, a prose-poem that was influenced both by some of Ballard's work in The Atrocity Exhibition and early Modernist poetry. Stylistically, it is worlds away from my usual work but many of my usual areas of interest - shaping and changing of the body, the mutability of flesh, the striving for beauty through artificial means, are all present and correct. The piece will be published in the Fiction International 52 anthology entitled Body, which should be available on Amazon at some point later on in the year. If I get a chance, I will post a reference sheet for the various references in 'Janus' (if I can remember them!). It does however also feature the very first appearance of my favourite deranged medic, Dr Kokoshka, who was of course initially named after the Expressionist artist Oskar Kokoshka, writer of an Expressionist play entitled, Murderer, The Hope of Women and whose perverted, fetid presence has made itself felt across a number of my stories since this piece including 'BobandJane,' 'It' and 'And From the Heads of Babes.' The subject of the piece - the striving for beauty through any means, no matter how extreme, and at any cost, no matter how demanding, meant that the naming of a scalpel-wielding surgeon after the creator of such a piece of work seemed somehow apt. I'm very pleased with this acceptance and can't wait to see the finished journal.